Apple on Thursday announced its second update in four months to Final Cut Pro X, the company’s professional-level app for video editing on the Mac. Free for current owners of the software, the update includes two new features: the ProRes RAW file format, and closed captions. The updates to Final Cut Pro X, as well as Compressor and Motion, will be available in the Mac App Store on Monday, April 9. FCPX’s use of ProRes as an intermediate codec allows for editors to work with high-quality video images, while at the same time providing enough performance to not bog down the editing process, which can happen when working with unprocessed Raw-formatted video. Apple’s new ProRes RAW format offers the best of both worlds: the visual benefit of Raw, with the performance of ProRes. ProRes RAW allows FCPX users to work with Raw data from the camera sensor, ideal for making image quality adjustments. But ProRes RAW files are smaller than uncompressed Raw video—and, according to Apple, ProRes RAW files can be smaller than ProRes 4444 and ProRes 422HQ. 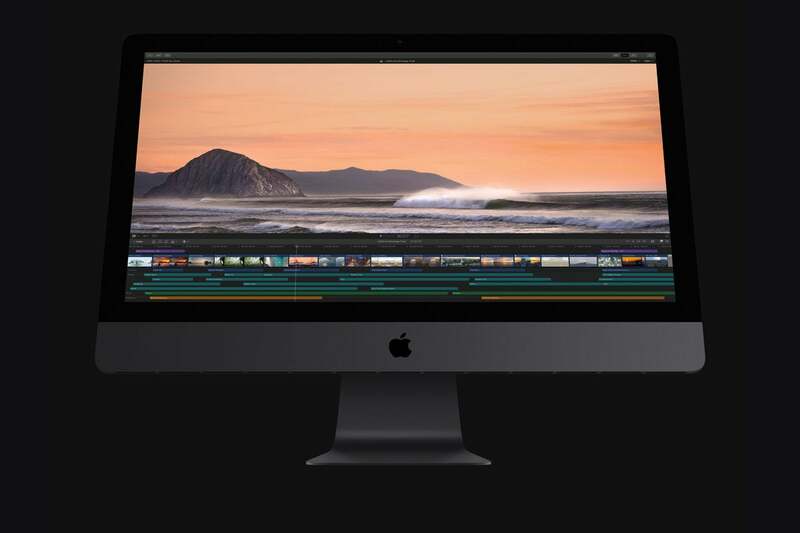 ProRes RAW also provides a performance boost, allowing an iMac Pro to play eight simultaneous streams of ProRes RAW 4K video during picture-in-picture editing. Apple also says that ProRes RAW offers drastic improvements rendering and export times over Redcode RAW and Canon Cinema RAW Light. The Atomos Shogun Inferno camera monitor (right) will support ProRes RAW. 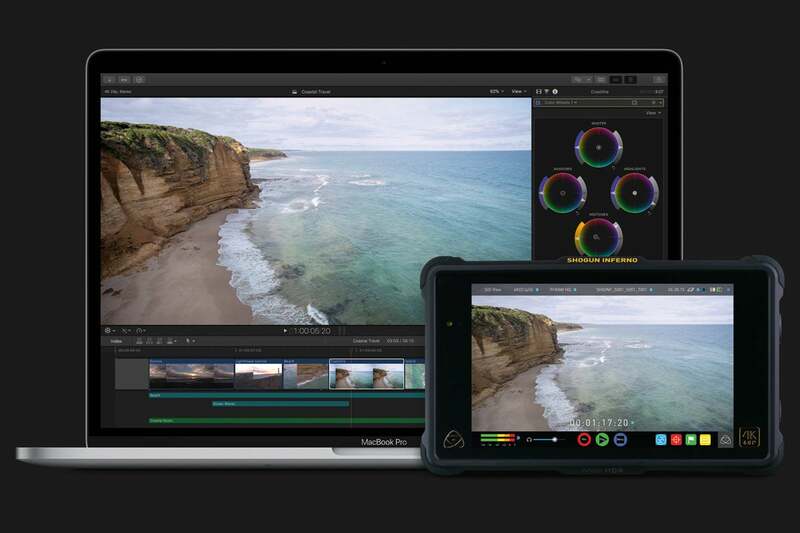 Apple also announced two partners that will use ProRes RAW in its products. Atomos’s Sumo 19 and Shogun Inferno camera monitors will support playback of ProRes RAW once a free firmware update is applied. DJI’s Zenumse 19 camera for its Inspire 2 drone will be able to capture video in ProRes RAW through the RAW activation package, which will be released later this spring. FCPX now has a full suite of closed-captioning tools that allows editors to import captions or create new ones. The captions are tied to the selected video or audio clip, so if a clip is moved, the caption goes along with it. Apple outfits the feature with validation so editors will know if captions overlap, contain errors or invalid characters, or are improperly formatted. Captions can be exported in CEA-608 and iTT formats, and captions can be embedded into a video file or exported as a sidecar file. Captions also have YouTube and Vimeo support. FCPX is available for $300 in the Mac App Store, along with Compressor ($50) and Motion ($50).